Dine around Seattle is back! Through the month of November foodies can enjoy a three-course dinner for only $30 at over 30 Seattle restaurants. 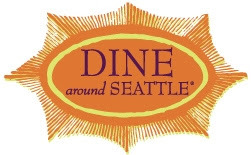 For a complete list of all the restaurants taking part in Dine around Seattle, check out their website.